Bella Real Estate, Inc. specializes in residential property management, residential and commercial sales, and leasing in Pflugerville, TX. Bella translated to English means Beautiful; we strive to maintain the beauty of your property by providing exceptional property management. We work hard to ensure that your property is maintained both inside and out by only hiring professional insured contractors, leasing to qualified tenants who will take care of your property, and by visually inspecting your property. Are you forced to keep up with the ever changing fair housing laws and other legislation regarding tenancy, including lead-based paint and toxic mold policies? Q: Why should I use a professional to manage my home? The area was initially settled by German immigrant Henry Pfluger, Sr. (1803–67) and members of his family from late 1849 into early 1850. Pfluger had been a wealthy farmer in Germany, but lost all of his property during the Prussian War. The beginnings of a community wouldn't develop until after the Civil War. During the 1870s, a school and Lutheran Church were established at the settlement. The first commercial business in the community was a general store built by Louis Bohls in 1890. Two local organizations: the German-American Mutual Assistance Foundation, to insure residents against natural disasters; and "Pflugerville Schuetzen and Kegel Verein," a shooting and bowling club. 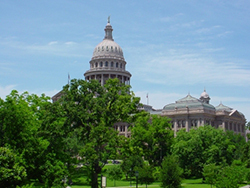 Throughout the 1990s, the city of Austin experienced a rapid rise in its population. This was also the case in suburban areas surrounding the city. Pflugerville and communities such as Cedar Park, Round Rock, and Georgetown came to or more than doubled in size by the next census in 2000. Since then, Pflugerville has grown by approximately 20,000, with the total number of residents approaching 40,000 as of 2008. The 2010 Census placed Pflugerville's population at 46,936, however with annexations since the 2010 census and with Pflugerville's continued growth, the city estimates approximately 50,000. The City of Pflugerville remains one of the county's jurisdictions with a high property tax rate. Though with a recent influx of higher sales tax revenue, the City Council has lowered the property tax rate annually since 2003.